After breakfast, there was a short briefing session where we were basically given an introduction to the new Honda City, briefed us on the itinerary and gave the usual safety talk. Smart Entry - open the door by lightly touching the sensors when the key is in your pocket. Push Start Button - easy ignition for your convenience, no more fumbling for your keys! ECON Mode - enjoy smooth driving with improved fuel-efficiency with a push of a button. Cruise Control - Cruise at any speed you want, effortlessly. 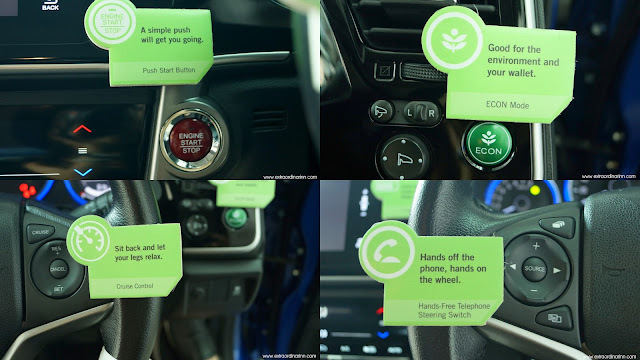 Hands-Free Telephone Steering Switch - connects via Bluetooth to your phone to accept or reject calls hands-free, or even connect to Siri via voice recognition. Steering Audio Switch - easily control favourite tunes without your hands straying too far off. 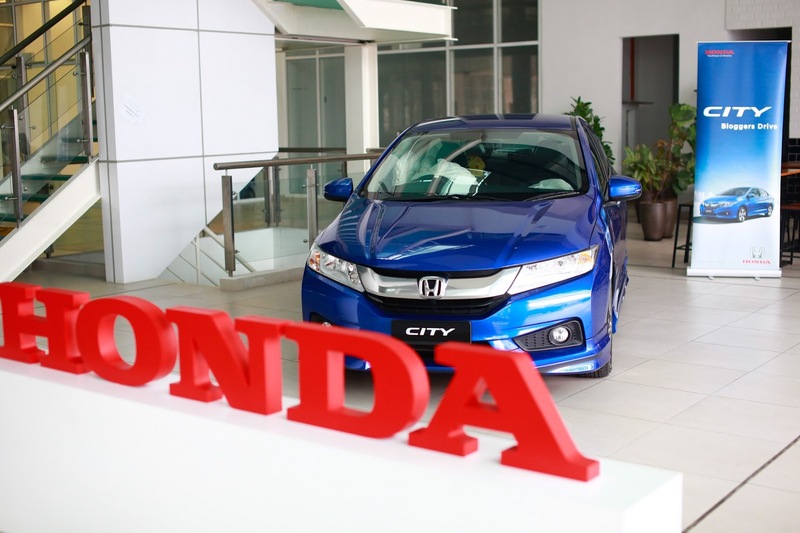 Safety is one of the main concern for most car owners and Honda City definitely did not neglect that point. With advanced features like not 1, not 2 but 6 airbags (for the V variant) to protect you, you can drive with a peace of mind. The 6 airbags include Dual Front SRS Airbags, Side Curtain Airbags and i-Side Airbags. Other added safety features are Rear 3-point ELR seat bealts with pretensioners and load limiters, Vehicle Stability Assist (VSA), emergency stop signals and ISO Fix for child safety seats. The All-New City is powered by 1.5L SOHC i-VTEC engine for maximum power (120PS @ 6,600 rpm) and maximum torque (145Nm @ 4,600rpm) coupled with Continuous Variable Transmission (CVT) for the perfect combination of driving performance and fuel-saving. And seriously guys, the 536-litre boot is so big that it can fit TWO grown men in it! By the way, there are 5 colours of the All-New Honda City - Modern Steel Metallic, Alabaster Silver Metallic, Taffeta White, Crystal Black Pearl and ours is the Brilliant Sporty Blue Metallic. Groufie before we head out! *raise the race flag and.... We're off! I sat at the back seat for the first part of the journey. You might say it's because I'm small but I was REALLY impressed by how much SPACE there is in the cabin. 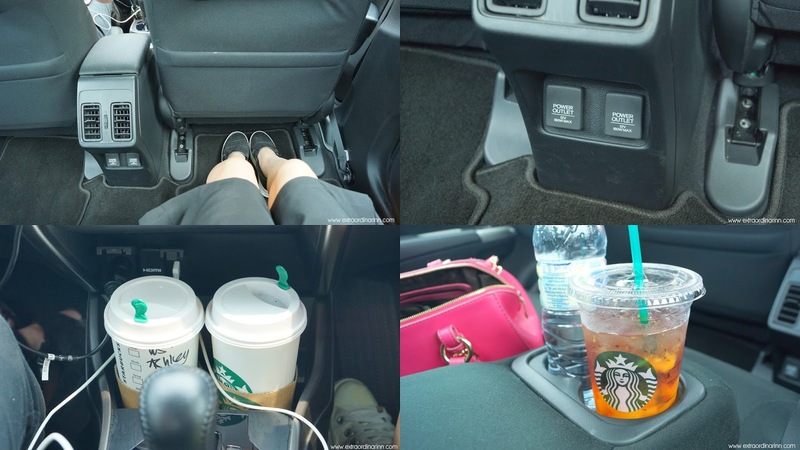 Sufficient leg room, 6 cup holders (for the V variant) including on the armrest, smart storage compartments, multi information combination meter rear ventilation air-conditioning, 2 USB Jacks in the front and 2 power sockets behind! The last part is super important for me as I'm constantly fighting with the rest of my family in the car to charge my phone haha. But you do need the car jack thingy to connect your charger/ USB cable though. Did I mention that the 7-inch display audio is touchscreen as well? Super canggih lah. It's very intuitive and easy to use if you want to find your fave radio station, connect Bluetooth or control the air-conditioning with the electrostatic touch panel. Somehow, big touchscreens look cleaner and less cluttered as compared to many buttons, don't you think? The nasi ganja might not look like much, but taste-wise it's really not bad! I've never had this before and while the rendang and fried chicken were pretty conventional, I really liked the coconut sambal and salted egg! The curry was pretty good too. If you've never tried this delicacy and are willing to queue, I'd say go for it! Ahem.. This is a pretty awesome jump shot! We were supposed to go for a mini photography session in Ipoh town after lunch, specifically to see some murals, but it was pretty jammed and we were kinda pressed for time. So a short stop at the Ipoh Clock Tower it is then! 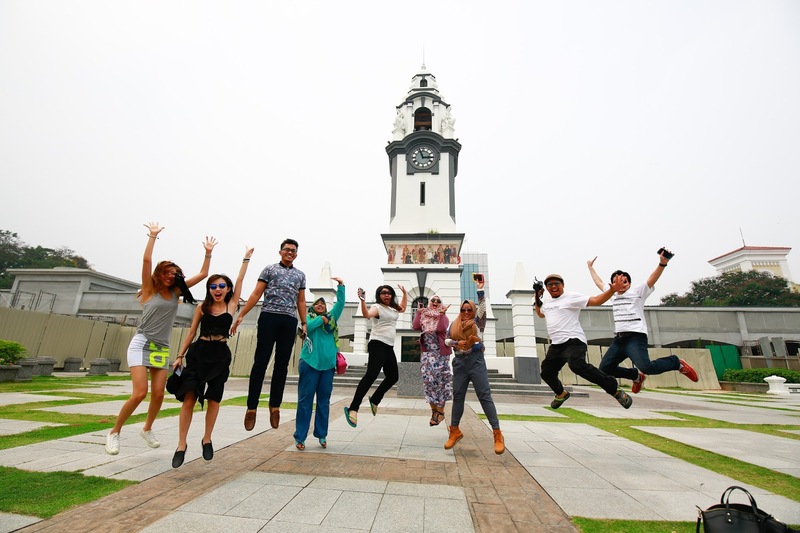 I've never really explored Ipoh before (it has always been a short stopover for me), so I'd really love to travel there again soon! After that, it was straight up north to Penang! Ashley drove most of the way cos it's her hometown and she lives near the place we're heading XD We arrived at Juru Auto City for the Honda Family Road Trip roadshow around evening. 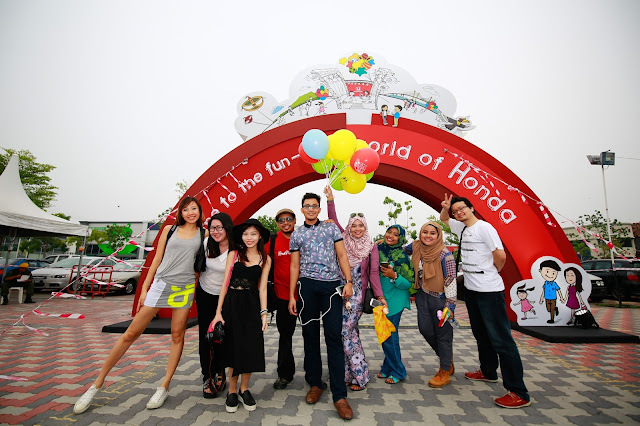 The Honda Family Road Trip is Honda's roadshow which will be held in 14 different locations across Malaysia. Patrons get to be a part of the Honda experience with their whole family and join in some of the exciting activities too. You can check out this link HERE to see where the road show is headed to next. It was pretty hazy that day, so we were thankful that the exhibition hall is fully airconditioned. So many cars! Not only the Honda City, but other Honda car models as well. 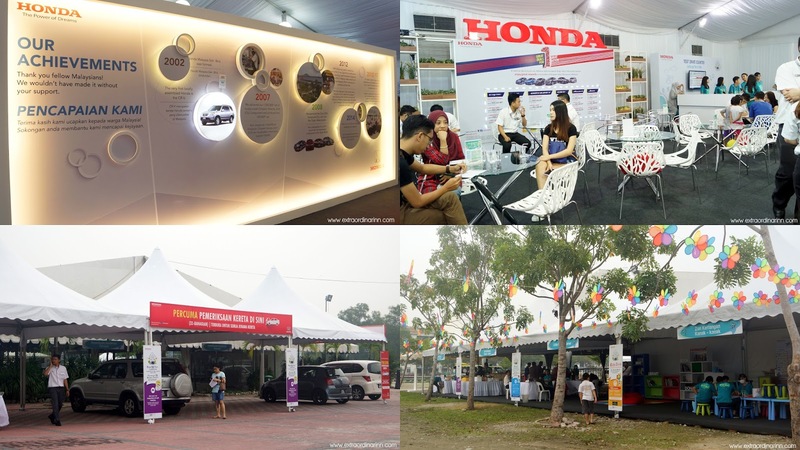 Some activities that you can do at the Honda Family Road Trip is get a free test drive or even a free car check-up! Outside, there are Honda booths and vendors for more activities as well. I'm not sure about the other locations but the night that we were there, a stage was set up for a mini concert by some local artistes as well! And there it is.. The all-new Honda City in Dark Ruby Red Pearl! Omg, what a beauty. Kinda like Ironman's red suit. The 'Exciting H Design' is further enhanced by this stylish, vibrant wine red with shiny finish. The "H" represents the Human Centrer, with driver and passenger as the emphasis. The front of the sedan has a solid wing face and integrated Platinum Grille and sporty aerodynamic contours with the Shark Fin Antenna. The distinctive headlights are powerful front fog lights, the mirrors are auto-retract with turning lights and the car is set with 16" multi-spoke Alloy Wheels. Now I know why so many customers requested for this colour via a recent market research. Heard that this model is super hot-selling now, which is why we couldn't drive it. But nvm! All the City are equally good in specs. Had fun with the girls, posing with all the different props for each car. I find the superheroes one extra amusing haha XD Oh yea, there's a photobooth as well so if you happen to upload a photo on your Instagram, make sure you hashtag #HondaFamilyRoadTrip to get a FREE print! Extreme concentration while painting our eggs. Haha. It's supposed to be a kids' activity to differentiate solvent-based and water-based paint, I think. Saw the girls trying their hands at it and couldn't resist painting one myself too. We get to keep it as a keychain after that too. Nah, how's my froggy egg? Haha. Not super fancy but I think it's quite cute lah.. At least I painted within the lines.. Like doing manicure. You should see Cindy's, it's super nice! After being in the car for most of the day, we were famished. Honda did prepare some snacks for us in the car though we were craving for dinner already. 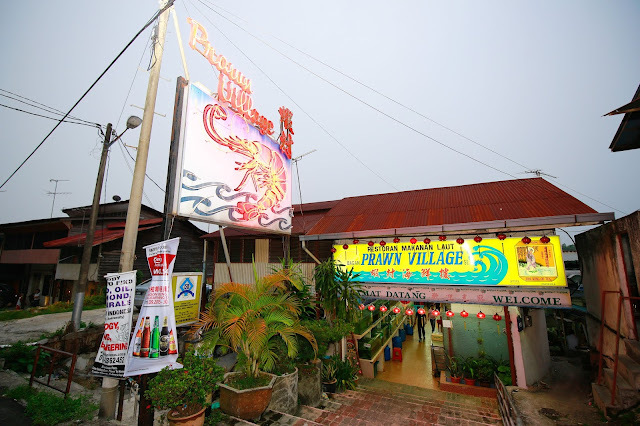 So, they brought us to Bagan Prawn Village. 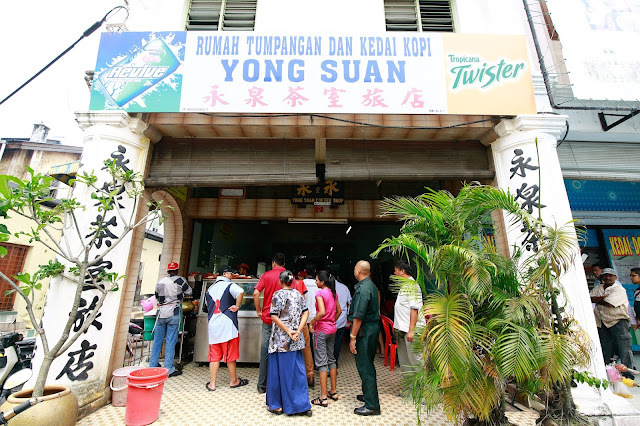 It's one of the many seafood restaurants by the sea and according to Penangites, this was one of the more famous ones. It's also a halal-certified restaurant. Drooling yet? The food was a tad bit salty for me but still good. 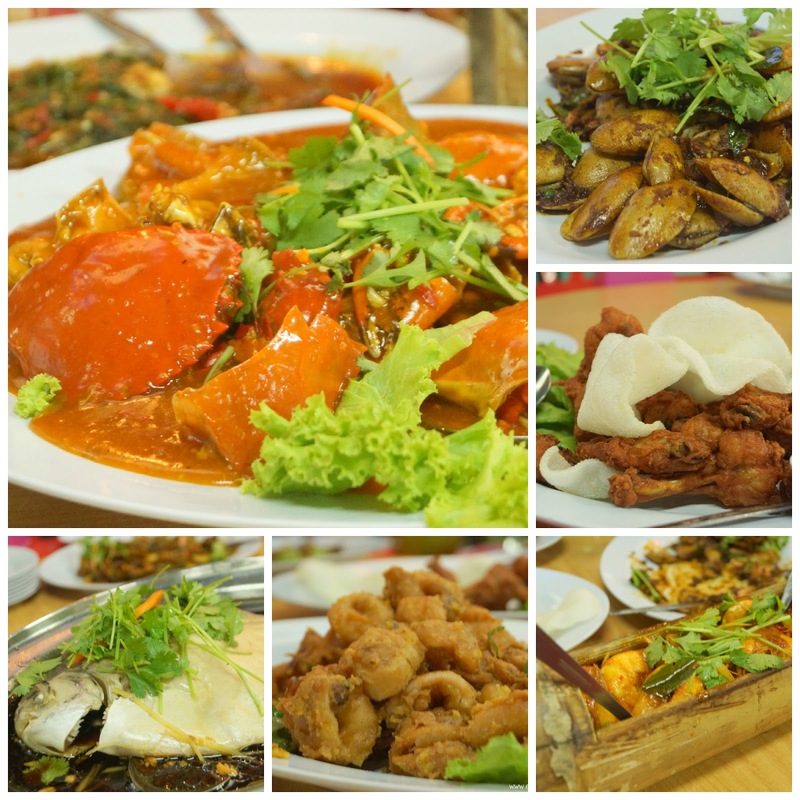 I can never resist seafood, especially crab and prawn! Recommend you to try the must-order Bamboo Prawns and Chilli Crab with mantou, woohoo syiok. From left: Me, Sizzling Suzai, Pinky Momma, Pika! Can you believe that I had this room.. ALL TO MYSELF?! Honda is seriously too generous, giving us the VIP treatment. I feel so pampered T.T I didn't even wanna go out, just wanted to enjoy the queen sized bed all to myself. Ok time to crash for the night! 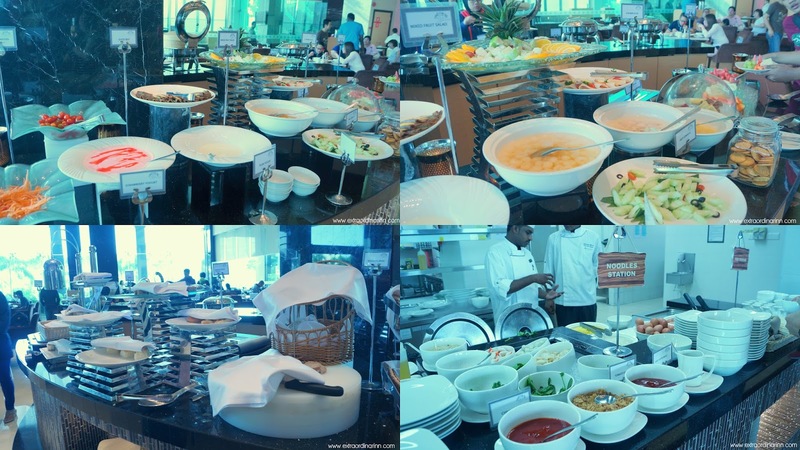 Had breakfast at The Spice Brasserie before we headed off. Quite a scrumptious spread, I must say. Convoy ready for Day 2! 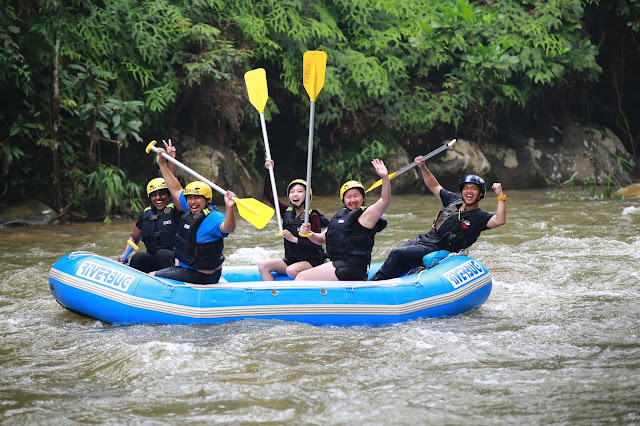 Today we are going to Gopeng, Perak for water-rafting! At this point, I was still contemplating if I wanted to go haha. But first, a group pic with my car-mates! Finally, a decent car-fie with the girls haha. We kinda mellowed down for the 2nd day dy. No more head-banging, too tired. Lol. I didn't drive on the second day so thank you girls for driving most of the way! Our awesome convoy. The photographer is so dedicated, he kept sticking his head out during the journey to get great shots like this (thank you!). We had a Lead car, led by Ray & Ivan and also a Sweeper car at the back to check for oncoming traffic, like fast cars on the right lane. Kudos to them all for keeping everyone safe and ensuring a smooth journey! Oh yea, we also spotted a few tank engines on the way back, no idea why. Anyway, this shot was taken on the way to the Gopeng forest so you can see how sturdy the Honda City is, can even brave through the haze, rain, mud and narrow roads, fuyoh. Arrived safely at Riverbug Asia, Gopeng. So much lush greenery :D Too bad I forgot to take photos of the facilities, it was really quite cool! The rooms and toilets were all pretty clean, totally not what I expected. Full group pic with the bloggers, Honda team and our guides! 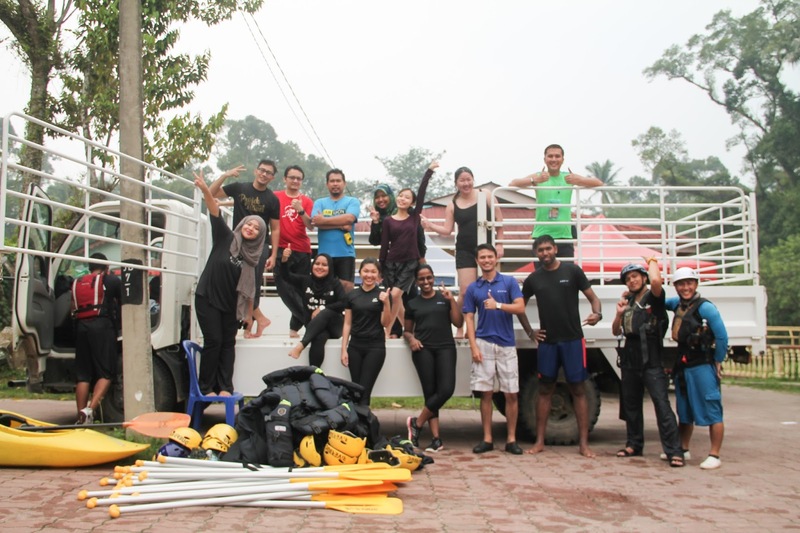 The rest who didn't join went on a mini excursion around Gopeng, I think. Well, I fell but at least our whole boat didn't sink like the other team #teamkaram hahaha XD Cold, wet but happy! 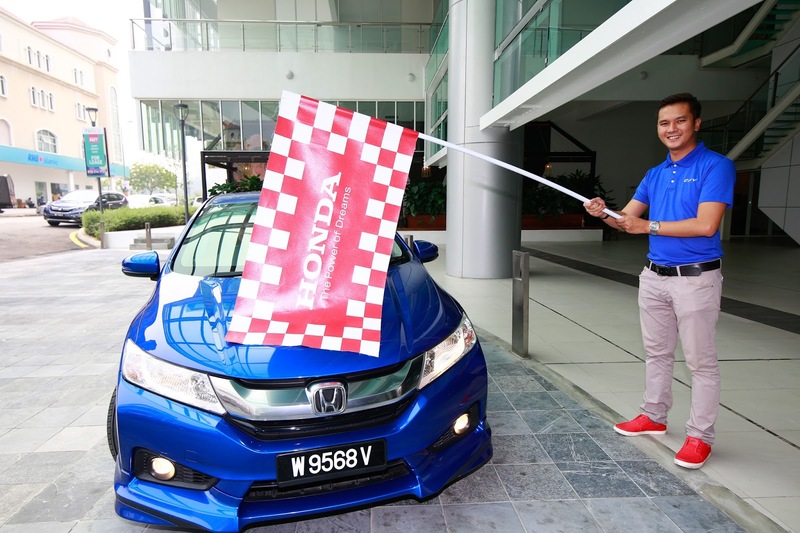 For more information on the Honda City, please visit any Honda dealer or call Honda Malaysia's toll-free number at 1-800-88-2020. 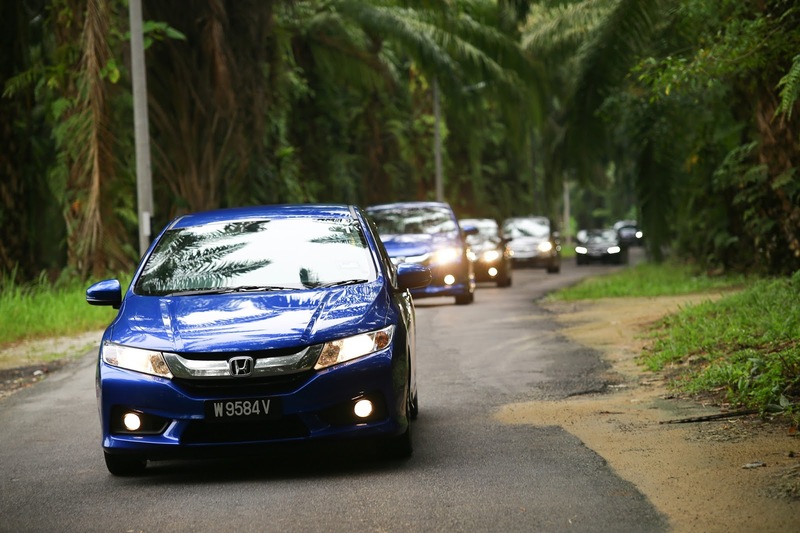 Disclaimer: This trip was sponsored by Honda Malaysia and Jireh Consulting to test drive the all-new Honda City. Any views related to the car was written based on my honest views and personal experiences after personally testing out the car. Hahaha. 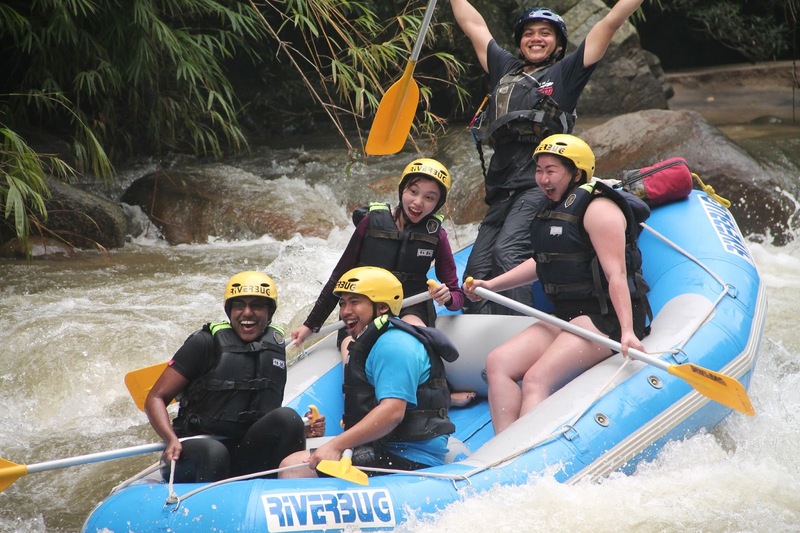 your face at water rafting is priceless! Anyways looks like an amazing trip! So ugly hahaha but it's my real excited face XD And it was! Damn fun trip. 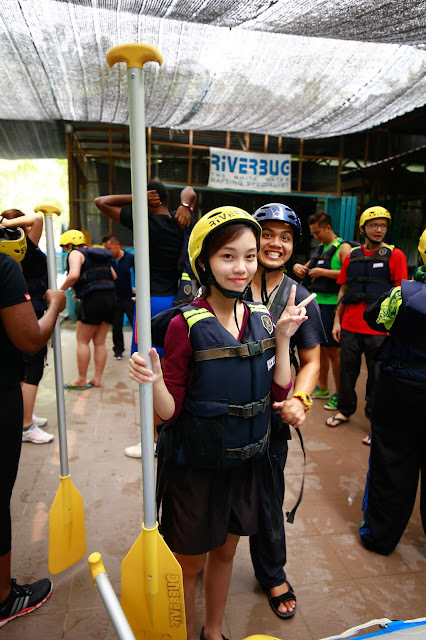 carinnnnn..the scary mary water rafting we did it! hahahahaha..
omg so much fun u had!!!! Beautiful post shared. You guys must had great fun. Travel is an incredible wellspring of restoration in the tumultuous way of life with no uncertainty. On the off chance that you get exhausted from the comparative day by day schedule each day and you need something change, at that point visit some unique place arranged in the lap of nature or with culture impressions can be gone by.